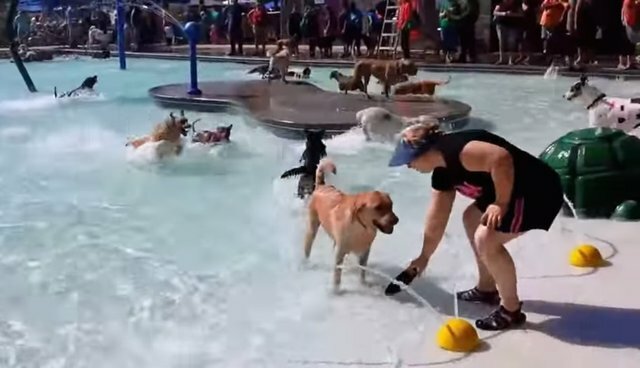 The parks department of Nampa, Idaho values their local dog park, and raises funds for the park in the most fun way imaginable: an all-dog pool party! On Saturday, Nampa held its 7th annual "Pooch Party," where dogs were able to splash around in the Lakeview swimming pool, have dog-friendly treats, and take a 1-mile stroll. Since all of the proceeds from the fun event went toward maintaining the dog park, it was a win-win for everyone involved. Just watching the amount of joy these dogs experience while splashing in the pool makes it pretty evident that having a place where they can run and play isn't a perk - it's an absolute necessity. You can watch some footage from the pool-portion of the festivities below! Learn about creating and supporting a local dog park in your own community here!